One package of pasta out of three in the United States is made in Italy. In 2017, the presence of Italian pasta was further strengthened on the shelves of American large-scale retail trade. Now this presence boasts a permanent share of more than a third of the total sales in the American distribution, which according to the latest Euromonitor figures amount to approximately 2.9 billion dollars. The study centre and internationalization office of ‘Confcooperative’ reports this in its Report Il mercato della pasta nel canale retail degli Stati Uniti (Pasta market in the US retail channel). In the next five years it is expected that pasta market in the USA will record new positive performances, with a growth by 3.7%. The share of sales concerning Italian pasta is therefore destined to further grow. 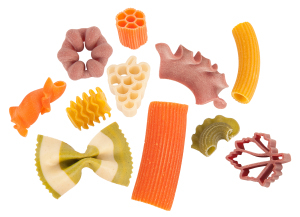 Today, the United States, according to the latest data released by Ismea, is one of the reference markets for made in Italy pasta, with a share of 12% of all sales of Italian pasta abroad. Overall, from 2012 to 2016, the exports to the United States recorded a growth by + 39%. In line with the values ​​concerning 2015 and 2016, even in the first 10 months of 2017 the exports from Italy to the United States reached 224 million Euros, ready to set a new record that will lead exports to overcome the threshold of 270 million Euros in 2017.